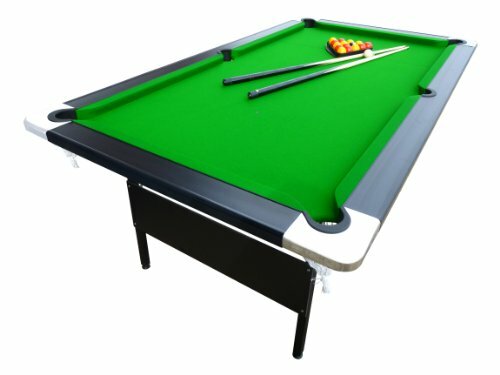 Gorgeously crafted in the United Kingdom, the Mightymast 7ft Hustler foldup pool table designed to match the up the standards of professional players seeking comfortable ways for home-based practice. 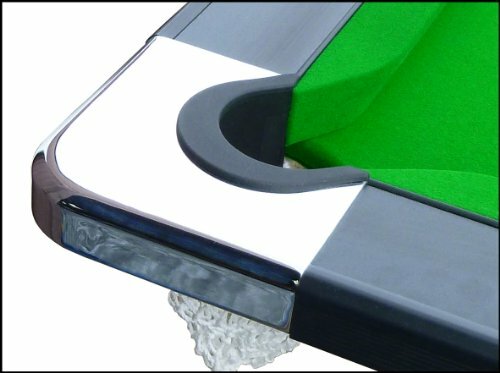 The playfield is created with a 18mm (0.7") composition bed covered with hard-wearing wool-mix Strachan cloth offering impeccable cue motion smoothness, accuracy and supreme snooker experience. 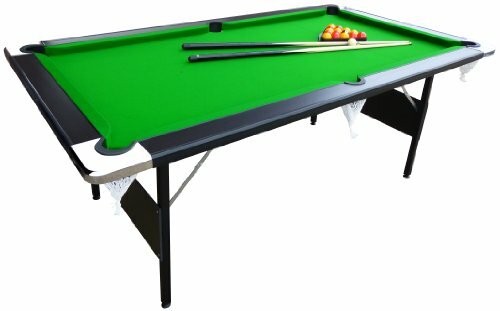 The table is created with excellent quality materials including polished chrome corners, solid metal robust legs and height adjustable feet, as well as extremely resistant metal sub-frame to maximise stability, whilst to ensure proper cue response, there are full-size cushion rubbers.